Hi sweetie, how was school today? 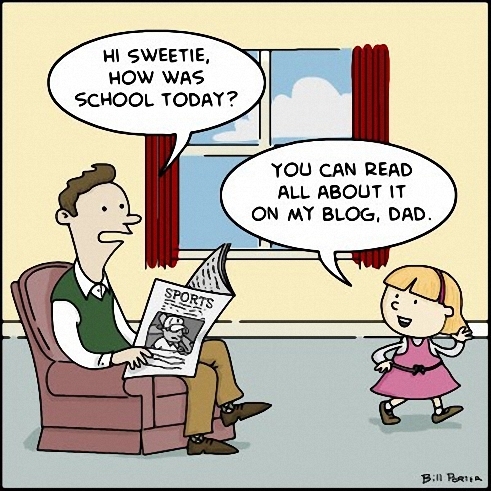 You can read all about it on my blog, Dad. Said with intended sarcasm, I note. The break up of the family system is now complete, tv had its part, and the computer finished the job.